Finally a high performance fitting boots that is in that all mountain category! The Hawx Ultra 80 is made for a female that is lighter weight with narrow foot. This boot is one of the best deals out there for a low volume boot with great technology. 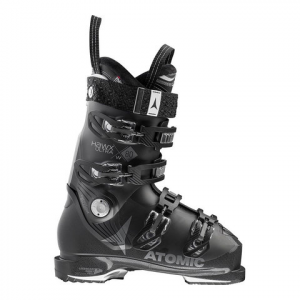 Featuring a comfy Memory fit liner and a strong Energy Backbone for increased edge grip and a very sleek style, this black boot is your perfect boot if you have a slim foot and love skiing all mountain.